I'm proud to say that I wrote my master's thesis on Twitter and Iran. * I'm was collecting tweets and data the moment the crisis erupted in June 2009 because I was writing my master's thesis on Iranian bloggers. I had begun research on Iranian bloggers, but decided to limit the scope of my research to Twitter specifically. I was already a Twitter user, but since then, my love for Twitter grew out of bounds. There has been a lot of complaints recently in the Twitter developers' community about Twitter's new restrictive policies on third party access to its application programming interface (API). Now, it's time for researchers who depend on access to Twitter to add their voices to the debate. And of course, once the researchers complain, one knows that Twitter is starting to cripple the experience for a lot of people, and devalue itself in the long term. Some say Twitter wants to rid itself of third party Twitter clients who often do a better job than Twitter in presenting tweets to users. If Twitter's mobile and desktop user interface experience and presentation of services were so great, people would not rely on third party apps to get a better experience. Twitter's reaction has been to either buy the competition, or shut down access to its API. Even related services like LinkedIn have suffered major blows from Twitter. Access to Twitter for social media research is important. The micro-blog is the most popular service in its category. In my own research, it is very important for me to figure out from where the user is publishing their tweet. There is much one can observe and analyze from this variable. Some users tweet from their mobile phones, others from their tablets. Others tweet from social media publishing apps that allow tweets to spread to several social networks. This information is important for researchers. Twitter claims that it promotes liberal values and information access to the world. 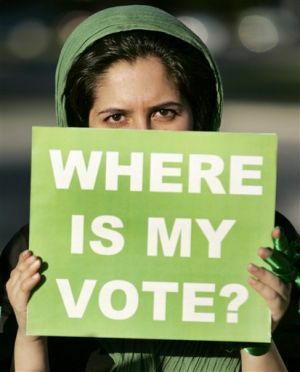 It's proud of its impact in the Arab Spring, and the aftermath of the 2009 Iranian presidential election. It even gave the Library of Congress copies to its archives and make it available for researchers like me who depend on this data. Yet, because it wants to cripple so-called competitors, that are really enablers to its platform, it's willing to cripple scientific research in social media. While there are other ways to get information that the client used to post a tweet, who knows how long Twitter will keep that information available in other channels? Therefore, on behalf of all researchers who need to access this data from Twitter, I urge Twitter to reinsert information on Twitter clients in its feeds. Not doing so cripples Twitter-related research and ultimately, the value of Twitter. Hervé St-Louis, the founding publisher of ComicBookBin, completed his master's thesis in strategic studies at the University of Calgary's Center for Military and Strategic Studies. In a few weeks he will begin his PhD studies at the University of Toronto's School of Information (iSchool) as part of the Semaphore research team. And of course Twitter will remain an important part of his research work.